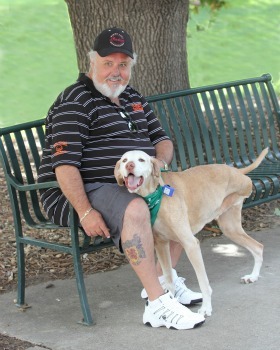 Hoke was diagnosed with leiomyosarcoma in his right hip and leg. Hoke Francis has eyes that sparkle and a laugh that can’t help but make you smile. In July of 2013, Hoke was diagnosed with leiomyosarcoma, a soft tissue cancer in his right hip and leg. After originally being told that his pain was caused by a hematoma, Hoke sought a second opinion at the Colorado Limb Consultants at Presbyterian/St. Luke’s Medical Center where he was diagnosed with cancer. His care was quickly taken over by orthopedic oncologist Dr. Cynthia Kelly and oncologist Dr. Ioana Hinshaw. Hoke underwent surgery, radiation and chemotherapy in Denver before traveling to Mayo Clinic in Texas for continued treatment. When cancer was found in Hoke’s lungs, he underwent surgery with Dr. Richard Parker to remove the cancerous nodules. Throughout his journey, Hoke faced many obstacles and challenges but is doing well today and is grateful for the care he received. He attributes his success to Drs. Kelly and Hinshaw, saying, “Those women saved my life.” Hoke, who is now in considerably less pain, is able to once again enjoy his love of riding motorcycles! 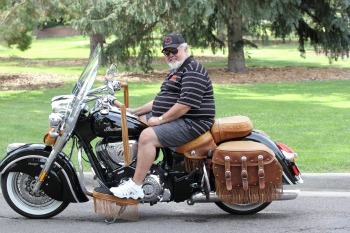 In fact, Hoke bought himself a 2014 Indian as a gift for his second round of clean scans. 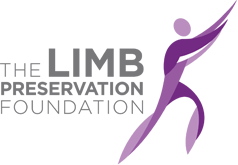 The Limb Preservation Foundation is honored to have supported Hoke in his recovery through the funding of research in the area of limb-preservation. Zebulon is a very handsome, 11-year-old Vizsla who was diagnosed with osteosarcoma in his left back leg in April of 2015. Quickly, Zebulon’s parents made the decision to amputate and begin chemotherapy. Though it was a difficult decision, they knew Zebulon would be strong in this journey, just like his namesake, explorer Zebulon Pike was when exploring the 14,000 foot Pike’s Peak in Colorado in the early 1800’s. Zebulon has adjusted to life with one less limb very well and is just as interested in squirrels, rabbits and tennis balls as ever!